Smaller, more nimble urban regions promise a better life than the congested megalopolis. Most of the world's population now lives in cities. To many academics, planners and developers, that means that the future will be dominated by what urban theorist Saskia Sassen calls "new geographies of centrality." According to this view, dense, urban centers with populations in excess of 20 million—such as metropolitan Tokyo, New Delhi, Sao Paolo and New York—are best suited to control the commanding heights of global economics and culture in the coming epoch. In fact, the era of bigger-is-better is passing as smaller, more nimble urban regions are emerging. These efficient cities, as I call them, provide the amenities of megacities—airports, mass communication, reservoirs of talent—without their grinding congestion, severe social conflicts and other diseconomies of scale. Megacities such as New Delhi, Mumbai, Sao Paolo and Mexico City have become almost unspeakably congested leviathans. They may be seen as "colorful" by those engaging what writer Kennedy Odede calls "Slumdog tourism." They may also be exciting for those working within the confines of "glamour zones" with high-rise office towers, elegant malls, art galleries and fancy restaurants. But most denizens eke out a meager existence, attractive only compared to even more dismal prospects in the countryside. Consider Mumbai, with a population just under 20 million. Over the past 40 years, the proportion of its citizens living in slums has grown from one in six to more than half. Mumbai's brutal traffic stems from a population density of more than 64,000 per square mile, fourth-highest of any city in the world, according to the website Demographia. Many businesses and skilled workers already are moving to smaller, less congested, often better run cities such as Bangalore, where density is less than half that of Mumbai. Much of this new growth takes place in campus-like settings on the edge of town that take advantage of newer roads, better sanitation systems and sometimes easier access to airports. Companies like Alcatel-Lucent and Infosys offer their employees facilities more similar to those of Silicon Valley or suburban Austin than to Mumbai or Kolkata (formerly Calcutta). Consider also Singapore and Tel Aviv, which are among the best models for the efficient cities of the future. At its founding in 1965 after independence from Malaysia, Singapore's per capita GDP was about that of Guatemala and well below that of Venezuela and Iraq. Today it equals, on a purchasing power basis, that of most Western cities including London, Sydney and Miami. The city-state bears no resemblance to the typical unsanitary and disorderly tropical metropolis. Singapore's roughly five million citizens live under efficient (if heavy handed) government. With its modern port, airport and excellent transport network, Singapore consistently ranks as the No. 1 locale for ease of doing business by the World Bank. Over 6,000 multinational corporations including Seagate, IBM and Microsoft have a large presence in Singapore. 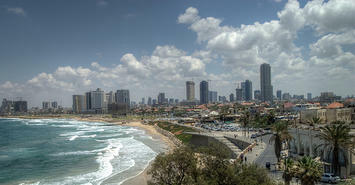 Tel Aviv represents a decidedly different approach to building the efficient city. With roughly two million people in its metropolitan area, this little dynamo produces the vast majority of Israel's soaring high-tech exports, is home to a preponderance of the country's financial institutions and has established itself as the global center of the diamond industry. Incomes in the region are as much as 50% above Israel's national average. Tel Aviv's pleasure-loving denizens may differ markedly from more controlled Singaporeans—or the usually more religious citizens of Jerusalem—but they employ many of the key efficient city advantages: a sharp focus on business, a well-developed sense of place and a first-class communications infrastructure. The city's tech industry includes firms such as Microsoft, Cisco, Google and IBM. It is home to Israel's only stock exchange and most of the country's resident billionaires. The U.S. is also embracing the efficient city. Between 2000 and 2008, notes demographer Wendell Cox, metropolitan areas of more than 10 million suffered a 10% rate of net outmigration. The big gainers were generally cities with 100,000 to 2.5 million residents. The winners included business-friendly Texas cities and other Southern locales like Raleigh-Durham, now the nation's fastest-growing metro area with over one million people. You can add rising heartland cities like Columbus, Indianapolis, Des Moines, Omaha, Sioux Falls, Oklahoma City and Fargo. Some of these—such as Austin, Columbus, Raleigh-Durham and Fargo—thrive in part by being college towns. Others like Houston, Charlotte and Dallas have evolved into major corporate centers with burgeoning immigrant populations. But they thrive because they are better places for most to live and do business. Take the critical issue of getting to work. According to the American Community Survey, the average New Yorker's daily trip to work takes 35 minutes; the average resident of the Kansas City or Indianapolis region gets to the office in less than 13 minutes. That adds up in time and energy saved, and frustration avoided. The largest American cities—notably New York, Los Angeles and Chicago—also show the most rapid decline in middle-class jobs and neighborhoods, with a growing bifurcation between the affluent and poor. In these megacities, high property prices tend to drive out employers and middle-income residents. By contrast, efficient cities are where most middle- and working-class Americans, and their counterparts around the world, will find the best places to achieve their aspirations. This article originally appeared at the Wall Street Journal. Submitted by tslrm on Thu, 06/05/2014 - 07:02. Submitted by tslrm on Mon, 06/09/2014 - 04:09. Submitted by tslrm on Wed, 05/21/2014 - 06:09. Submitted by Commenterman on Thu, 09/11/2014 - 06:38. Submitted by tslrm on Mon, 05/19/2014 - 09:51. Submitted by laciedwhite on Sat, 08/31/2013 - 11:39.